Is it safe to shower during a thunderstorm? Is the old wives' tale real? It’s one of those old wives’ tales that most people have heard a zillion times throughout their lives. But it couldn’t possibly be true … or could it? 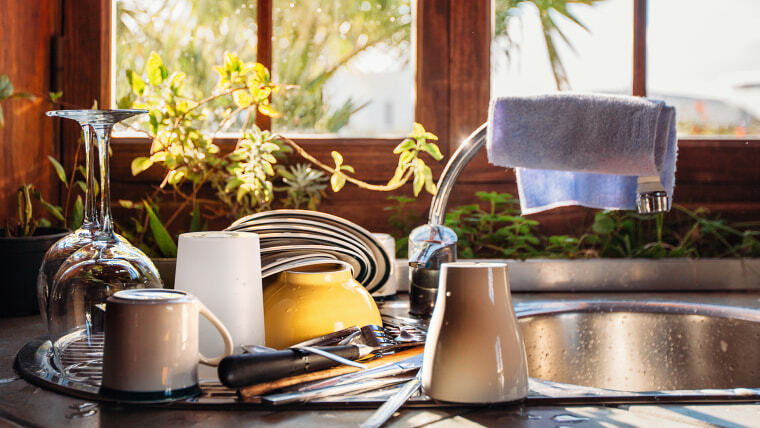 According to the National Oceanic and Atmospheric Administration, the “old wives” were onto something: It really is dangerous to shower while there’s a storm brewing outside — and there's an entire laundry list of other activities you should avoid, too. It is a little bit of an inconvenience, but it is an inconvenience that provides safety. "If your house is struck, lightning tends to go through either the wires or the plumbing, so that means anything that's plugged into the wall or connected to an outside wire could become energized … Any plumbing in your house is vulnerable to a lightning strike,” said John Jensenius, a lightning safety specialist at the National Weather Service/NOAA. The list of things to avoid? The sink, shower, bathtub, dishwasher and washing machine, as well as anything that’s plugged into the wall — like a lamp or a corded phone. It doesn’t necessarily need to strike your house directly for it to be problematic, explained Dr. Mary Ann Cooper, director of the Lightning Injury Research Program. “It can also strike at a distance away. Say it strikes 50 or 100 feet from your house, but some of the wiring or plumbing is going close to that, then it can come in that way,” she said. Any plumbing in your house is vulnerable to a lightning strike. If you hear thunder, lightning is within striking distance, so that should be your signal to step away from the plumbing and electricity. To be safe, wait at least 30 minutes after the storm passes to resume use. “It is a little bit of an inconvenience, but it is an inconvenience that provides safety,” Jensenius said. If you’re reading this and thinking, “OK, it may be possible, but it probably never happens,” think again. In July 2017, 17-year-old Faith Mobley was working at McDonalds in Alabama washing dishes when a storm started to roll through. She had no idea what had happened in the moment. Later, she learned that the current had gone through the plumbing to the faucet, into the standing water in the sink, through her headset and down her body. What's it feel like to be struck by lightning? While Cooper acknowledges that most indoor lightning strikes aren't fatal, it’s important to be aware of bodily changes afterward. Once you pass what she calls “the survival test” (as in, you survived) be sure to monitor your symptoms. If you're having problems that affect your work, family life or sleep, or if you have increasing pain, it's worth checking in with a doctor. "If there is a cardiac arrest, prolonged loss of consciousness, decreasing mental clarity, then, yes, see your doctor or go to the emergency department," said Cooper. "However, short of doing CPR and restoring circulation for those in cardiac arrest, there is nothing a doctor can do to reverse the injury sequence that has already been precipitated." Basically, she said, all you can really do is wait it out and take non-steroidals (like Aspirin) to help with any pain. If there if you feel that you are processing thoughts differently or more slowly than usual, cognitive therapy may help. Just keep your hands out of the sink. This story was originally published on April 23, 2018.